Jacquelyn Foster, pastor of our congregation, is a minister of the Christian Church (Disciples of Christ) in the U.S. and Canada. 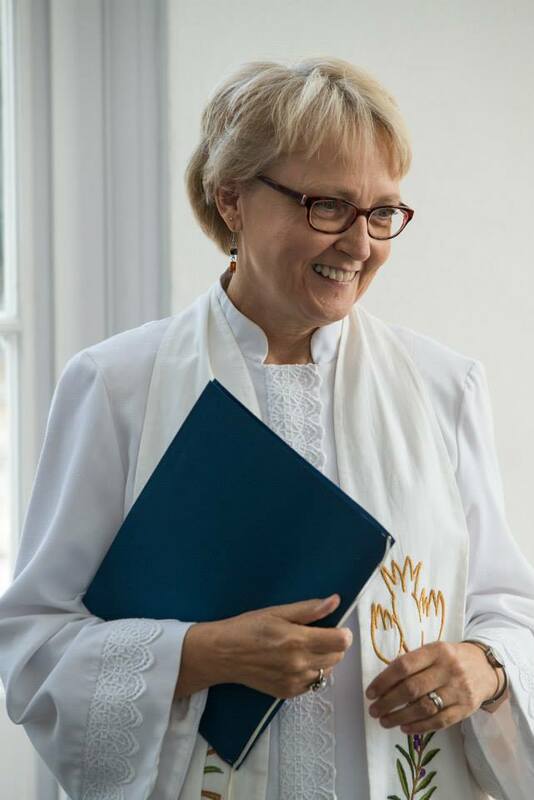 Since ordination in 1982, she has served congregations in Massachusetts, Indiana, and Missouri. Jacque has been pastor of Compton Heights Christian Church since 1996. She is deeply committed to God’s vision of a world in which people celebrate and use the many and diverse gifts we have been given to create communities of grace, peace and reconciliation. She brings a passion for nurturing this multi-ethnic and Open and Affirming community of Christ’s love. Dr. Foster’s educational background includes: Bachelor’s in Religious Education and Sociology from Phillips University, Master of Divinity from Vanderbilt Divinity School, Residency in Clinical Pastoral Education, Hermann Hospital, Houston, TX, Doctor of Ministry from McCormick Theological Seminary, Certificate in Spiritual Direction from the Mercy Center for Healing the Whole Person, Colorado Springs, CO, and training with The Compassionate Listening Project, Seattle, WA. Jacque is married to Dave, and they share their home with Sherlock the pup and Darby the parrot. Jacque loves to garden, play games, read, and travel. Our Music Director is David French. David grew up with involvement in church music in nearby Herculaneum, Missouri. His passion is piano and he also plays organ. David has studied music at Jefferson College and Missouri Baptist University, has provided accompaniment for the music program at Forest Park Community College, and has served in church choral leadership. David has fun with our choir in both choral direction and leadership of congregational song. A ministry that celebrates the gifts, the faith journey, and the love and mission of God’s people of every race, sexual orientation, gender identity, and ability. We worship the God of all creation who gifts us with life. We worship God who is Love, who is revealed in the life of Jesus the Christ. community of Jesus the Christ!